Newton Abbot Fire Station has received vital new kit to enable resuscitation of family pets such as dogs and cats. The kit has been kindly donated by The Kong Company, who make various pets products. Over the Newton Abbot Fire Service has rescued many pets from fires and tried to give oxygen to pets using our human masks, however having a purpose built mask in three sizes for large and small dogs and a smaller one for cats will greatly enhance chances of survival. 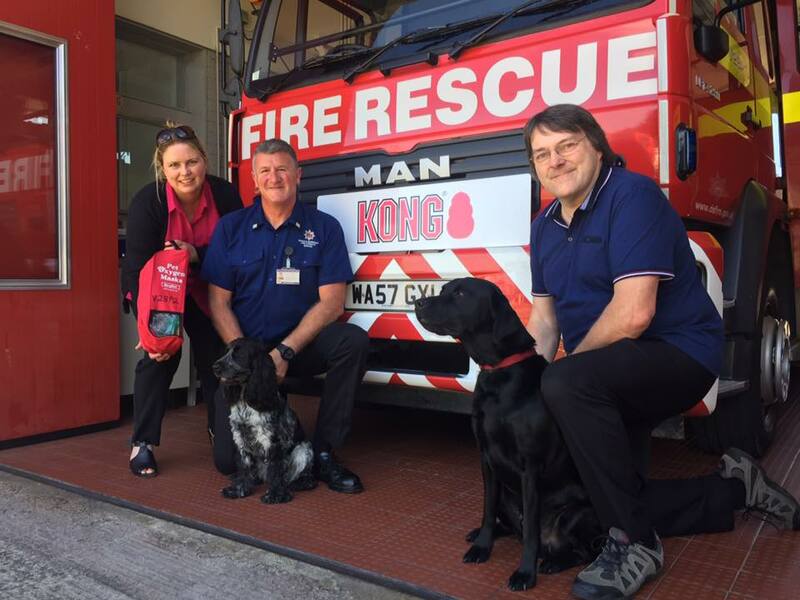 Hannah Slater and Roger Peters, from KONG (pictured with Sooty and Max) came to the station to officially hand over the kit. Kong has donated twenty kits recently to many fire stations across the country.